The SoM-A5D36 is a System on Module (SoM) based on the Atmel ARM Cortex A5 ATSAMA5D36 processor. Designed and manufactured in the USA, this wide temperature, fanless ARM 536 MHz SoM has 10/100/1000 BaseT Ethernet included along with up to 6 serial ports. The SOM-A5D36 offers up to 4GB of eMMC Flash, up to 16MB of serial data flash, and up to 512MB of LP DDR2 RAM. 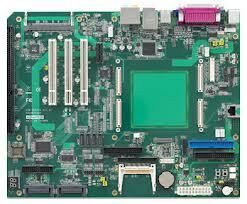 The SoM-A5D36 is a System on Module (SoM) based on the Atmel ARM Cortex A5 ATSAMA5D36 processor. Designed and manufactured in the USA, this wide temperature, fanless ARM 536 MHz SoM has 10/100/1000 BaseT Ethernet included along with up to 6 serial ports. 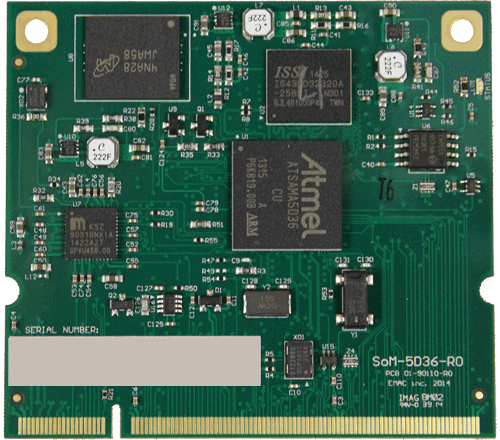 The SOM-A5D36 offers up to 4GB of eMMC Flash, up to 16MB of serial data flash, and up to 512MB of LP DDR2 RAM. While also offering APM sleep mode, which allows for low power consumption, while still supporting real-time operating systems (RTOS) such as Xenomai. A SoM is a small embedded module that contains the core of a microprocessor system. Using the same small 200 pin SODIMM form-factor utilized by other EMAC SoM modules, the SoM-A5D36 is the ideal processor engine for your next design. All of the ARM processor core functionality is included on this tiny board including: Flash, Memory, Serial Ports, Ethernet, I2S Audio, PWMs, Timer/Counters, A/D, digital I/O lines, Clock/Calendar, and more. The SoM-A5D36 is designed to plug into a carrier board that contains all the connectors and any custom I/O required for the application. This approach allows the customer or EMAC to design a Custom Carrier Board, that meets the customer's I/O, dimensional, and connector requirements without having to worry about the processor, memory, and standard I/O functionality. With this System on Module approach, a semi-custom hardware platform can be developed in as little as a month. 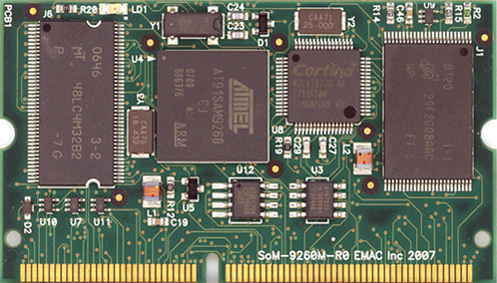 In addition to the option of the developing a custom carrier board, one can be purchased off-the-shelf from EMAC. EMAC provides off-the-shelf Carrier boards that feature A/D, D/A, MMC/SD card, keypad, LCD, Audio, and Modem interfaces. 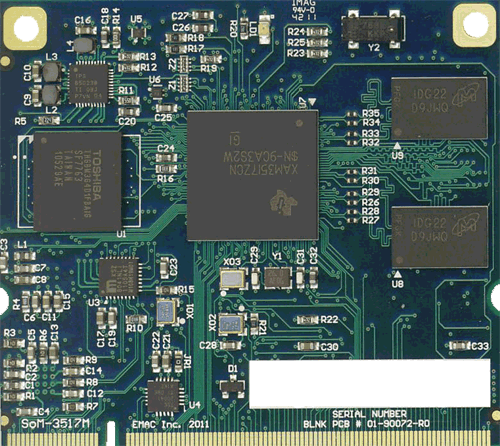 The recommended off-the-shelf Carrier Board for theSoM-A5D36 is the SoM-200GS which allows the user to immediately start coding their application using the powerful Linux Operating System and Tools. The SOM-200GS carrier offers availability of wireless features of 802.11 b/g/n WiFi and Bluetooth 3.0.